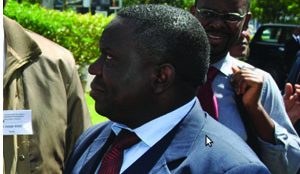 ZAMBIA is seeking to form synergies in economic areas with potential for wealth and employment creation, Foreign Affairs Minister Harry Kalaba has said. Mr Kalaba said the Government had identified key growth sectors such as agriculture, tourism, construction and mining which are labour-intensive and could create wealth for the people. The minister was speaking in Los Angeles, California in the United States (US) yesterday during a series of meetings with potential investors. Mr Kalaba met the Los Angeles area Chamber of Commerce, Los Angeles county board of supervisors and Preferred Freezer Services Limited. This is according to a statement released yesterday by Ministry of Foreign Affairs public relations officer Alick Banda. At Preferred Freezers Services, a cold storage-based business with an international presence in China and Vietnam, the minister encouraged the company to consider investing in Zambia as it is centrally located. “Zambia is at the epicentre of economic activities in Africa and it is the best place for investments for any company looking to expand worldwide,” he said. At the Los Angeles county board of supervisors, the Mr Kalaba highlighted how Zambia had continued on the path to economic development in the last five decades. He told the board of advisors that Zambia acknowledged the importance of building and nurturing relationships with the County of Los Angeles and was recognised as one of the most peaceful countries in the world. Later, during a meeting with Los Angeles Chamber of Commerce, Mr Kalaba said Zambia was gravitating towards other areas the economy and moving away from copper dependency.